New & Exclusive! 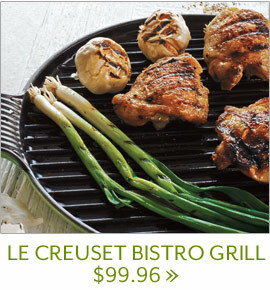 Shop the Le Creuset Bistro Grill Now Only $99.96 + Free Shipping at SurLaTable.com! Offer valid for a limited time.